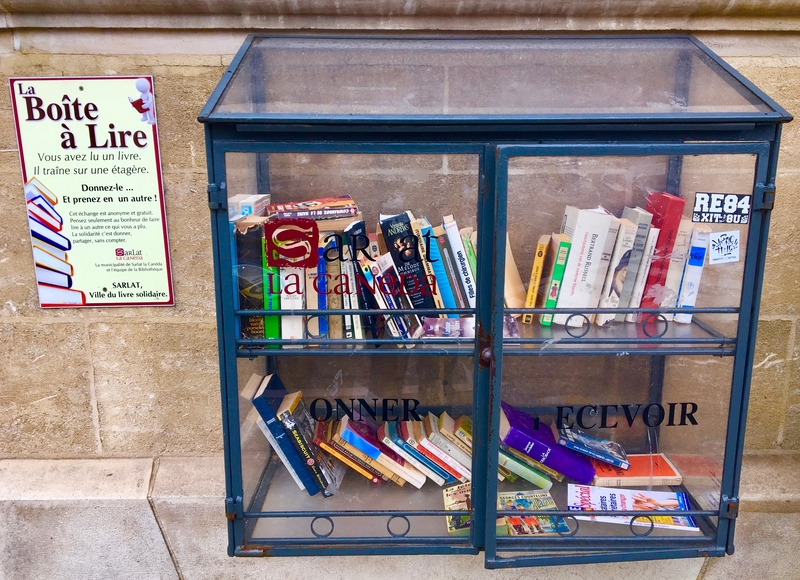 Many towns in France now have book borrow boxes. Apparently the trend is global. 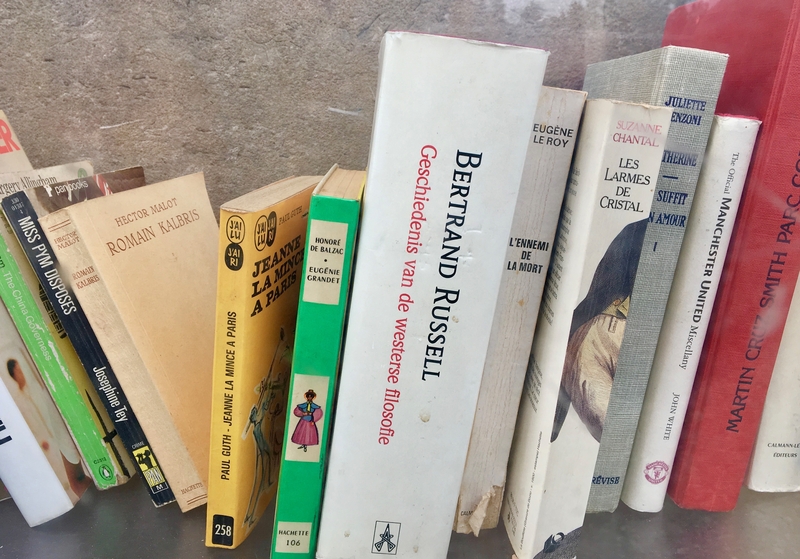 Inside were a few dozen books, including titles by Bertrand Russell, Hector Malot and what appeared to be a romance paperback by Eugene le Roy (The Enemy of Death), as well as Seabiscuit by Laura Hillenbrand. “This box is also for children—please be careful not to hurt their sensibilities when you deposit your books.” In other words—only PG rated books, please. Considering that the Erica Jong paperback titled Fanny Troussecottes-Jones was included, it appears someone ignored that sign. There is a colorful collection of other titles, including an Arnaldur Indridason detective novel set in Reyjkavik in Iceland, a war thriller by Valentin Musso titled The Cold Ashes (Les Cendres Froides), The Third Man by Graham Greene, some title by Rudyard Kipling, a medical work of fiction by Frank G. Slaughter (A Doctor Not Like The Others), No One’s Perfect by Hirotada Ototake (a non-fiction bestseller from Japan about growing up disabled) and a Harlequin romance by Gloria Bevan. Also—a 1985 Chinese Horoscope and what appeared to be a text book on adolescence. These sidewalk boxes on main streets are never locked and appear little harmed by vandalism or theft. They can be testimony not only to a respect for reading, but for civic order and the rule of law. Consider: no need for a library card or visiting hours or walking through doorway metal detectors. Just pace up, browse, open a glass door and select. Remember to leave a book, if you can. Tens of thousands of these boxes now dot the U.S. and other countries. How long the trend will last is unknown. Tales of books vanishing faster than they appear are legion, and a few permit obsessed bureaucrats apparently grapple with this novel concept. 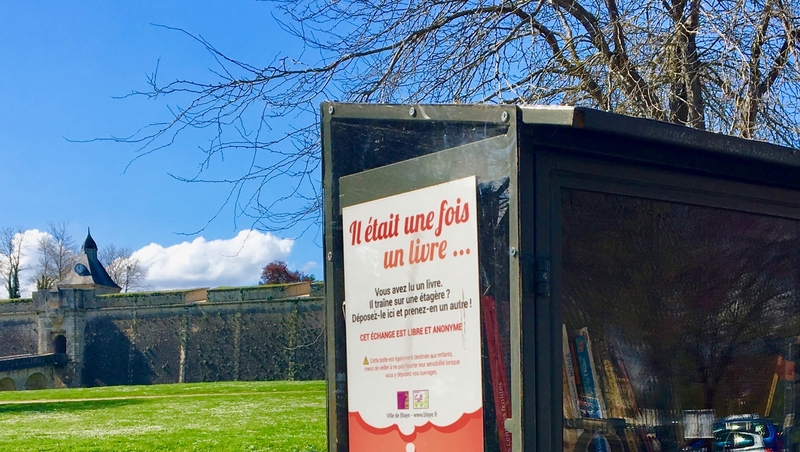 Until my French improves, I’ll be inclined to donate rather than take away…though will be interested to see if anyone in this town wants to read a Jack Reacher thriller, or history of the 100 Years War—in English. My latest Forbes pieces are here (from the past month). 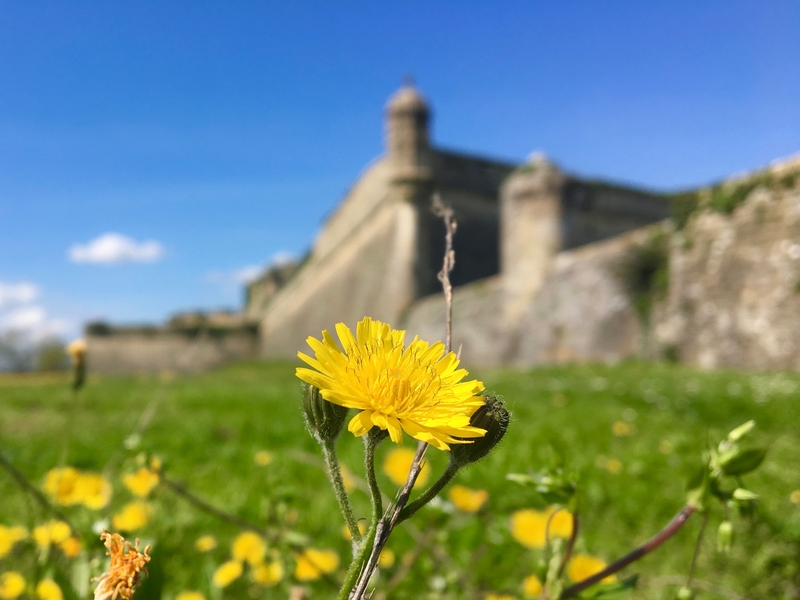 They focus on northern Spain and the Dordogne (Périgord) region of France. Hope you enjoy. They, too, are free.